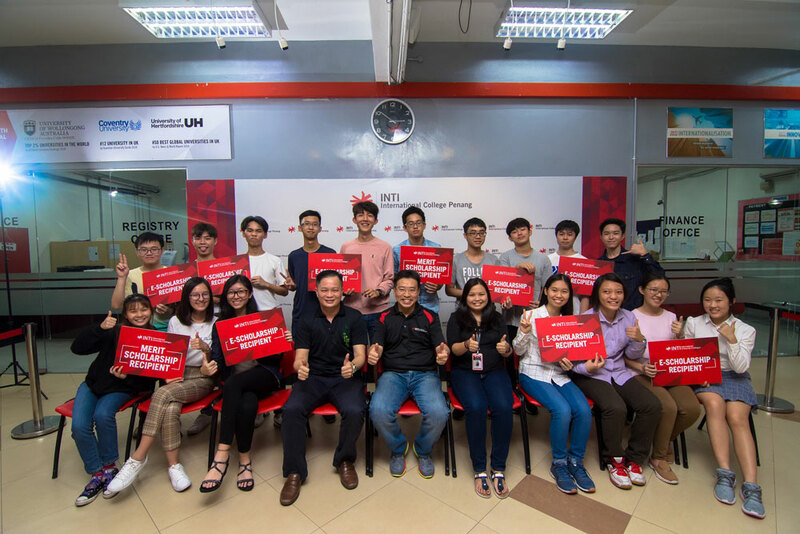 In line with its mission to provide access to world-class education to all Malaysian students, and to lessen the financial burden for students from average-income families, INTI International College Penang recently gave out numerous scholarships to more than 200 students from its January 2019 intake. The most recent batch of INTI students who successfully obtained their scholarships pose with Goh Wai Meng, Academic Director (from 4-L of front row); Patrick Ooi Chin Aun, Assistant Vice President of Admissions and Counselling Office; and Tan Bee Hooi, Head of Programme of Cambridge A-Level of INTI Penang. The array of scholarships and bursaries offered by INTI were not only based on students’ academic performance or outstanding achievements in certain fields, but were determined according to the real needs of students from different financial backgrounds. “Every year, there are hundreds of students receiving scholarships from INTI. As a scholarship provider, we not only focus on academic results but a broad spectrum of considerations,” stated Patrick Ooi Chin Aun, Assistant Vice President of the Admissions and Counselling Office at INTI Penang. Ooi further elaborated, in disbursing scholarships and financial aid to deserving recipients, INTI takes into account various circumstances in order to finance those who really need help for their tertiary education. “Besides students who achieve the required academic standards, INTI accepts applicants who excel in sports; who demonstrate excellent leadership skills in their communities; who meet the entry requirements for foundation programmes; who demonstrate potential competencies in unique areas; or sometimes simply reflect a good personality or humanistic qualities,” continued Ooi. According to him, being a tertiary education institution with a macroscopic view into growing future talents, every step that INTI takes is well structured with aims to fulfil the needs and expectations of the general society and the country. Apart from actual results in important examinations, INTI provides opportunities for applicants to make full use of their forecast results, especially when making a pre-emptive move in applying for scholarships which secondary school leavers aspire for. 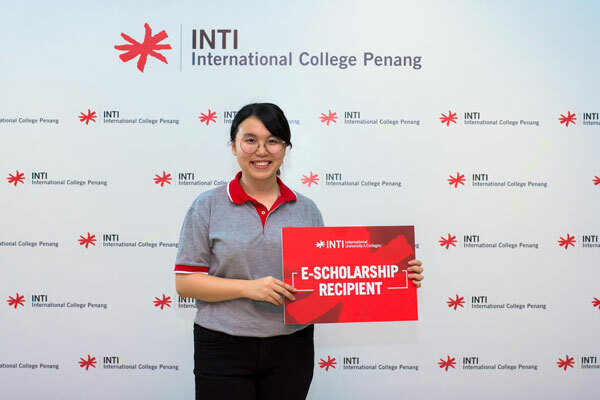 Choe Wee Ling, 18, a current Cambridge A-Level student at INTI Penang opined, “I am glad that INTI granted me a scholarship even before the release of my actual results. By receiving an ‘e-Scholarship’, I can save more money for my future degree programme.” Choe scored 9A+ and 1A in her SPM examinations upon completing her secondary school studies at SMJK Jit Sin a year ago, and hopes to become a researcher in biomedical science in the future. Her course mate, Ooi Chun Keat, 18, who aims to do medicine or veterinary sciences upon completing his A-Level’s, also won a 100% scholarship from INTI. “It motivates me to continue working hard and focus on my studies to achieve a high grade to meet my parents’, lecturers’ and INTI’s expectations,” said the young man who originates from Han Chiang High School. An established gateway to universities in the United States, Canada, the United Kingdom, Australia and Asia, INTI also provides students with scholarships and bursaries to do their American Universities Programme (AUP), New South Wales Higher School Certificate (NSW HSC), New South Wales TAFE Advanced Diploma of Accounting, bachelor degree programmes with the University of Hertfordshire (UK), Southern New Hampshire University (US), University of Wollongong (Australia) and also home-grown Foundation in Business and Technology programme as well as various diploma programmes.